Who would you pick? 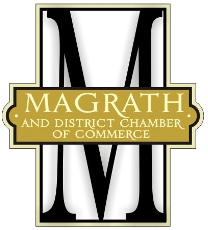 The nominations for the Magrath and District Chamber of Commerce Society Citizen of the Year, Youth of the Year, and Business of the Year are now closed, but you can make your choice known by entering the ballot on this page. Thank you for participating! Traditionally our Citizen and Youth of the Year serve as Honorary Parade Marshall(s) in the Magrath Town Celebrations ('24th of July' Parade). We present and honour our CYB of the Year selections in our Chamber Gala Awards dinner. Express Yourself! Vote here on the Peoples Choice Ballot ..